This blog is a guide to the subject of Spirituality. Dedicated to the spiritual progress of every individual and society as a whole. For more details about the purpose and objectives, please see this link. Sean has been studying and practicing Spirituality with the Spiritual Science Research Foundation (SSRF) since 1998. An MBA graduate from Monash-Mt Eliza Business School, Australia. Sean gave up his regular career as a Strategy and Business Analyst in the technology sector to help co-ordinate dissemination of SSRF research material as a full-time volunteer. Till 2009, Atul had a career in architecture in Australia. He began doing spiritual practice in 2001 and currently, is performing service unto the Absolute Truth as a full-time volunteer of Spiritual Science Research Foundation (SSRF). Dewang has been studying and practicing Spirituality with the Spiritual Science Research Foundation (SSRF) since 2001. After starting his spiritual practice with SSRF in India, within a few years his wife and he immigrated to Canada where they presently reside. Maya Jairam has been doing spiritual practice under the guidance of SSRF since October 2001. She was born and raised in the United States, and studied Psychology at Emory University for her undergraduate degree. In her free time, she shares SSRF’s research findings by conducting workshops in her area, having conducted a series of classes for children, as well. She is also an active board member of the City of Fort Collins’ Human Relations Commission. 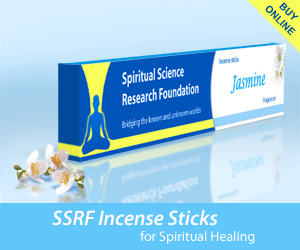 Rajal has been doing since spiritual practice under the guidance of SSRF since mid-2008. She currently resides in Canada where most of her free time is dedicated to doing service unto the Absolute Truth. In Vamsi’s words: I have been doing spiritual practice under the guidance of SSRF for the past 8 years. I am a mechanical engineer by profession and take part in satsevas (service to the Truth) in the rest of my available time. I have immensely enjoyed the Bliss in every activity which is spiritual and have experienced the immense power behind chanting the Lord’s name as guided by SSRF. Shobhna has been studying spirituality under the guidance of SSRF since 2004. Two years back she reduced her job hours and has been devoting that time for Satseva (Service unto the Absolute Truth). Keen to know about SSRF activities and any one closely associated to SSRF in and around Chicago, so as to involve in working. Appreciate for response. Dear Dipak, A warm welcome to SSRF site.SSRF helps seekers across the world in their spiritual practice and gives help to understand how subtle dimension affects our lives. You can read more about it in this beginning article. We have seekers in NA, Chicago. The best way to proceed will be to register for an online free spiritual meeting where you will get to know more about the activities as also seekers. You can register here. We also have login facility on the website which is more personal. If case you wish to send your questions there you can do so. Please share anything you would like to ask through our login facility by clicking here. J’habite dans la partie centrale de la France. Au vue des menaces des islamistes sur mon pays, est-ce que dans les prochaines années, il va être détruit, comme le craignent de plus en plus de gens? Si celà ne tenait qu’à moi, je me bâterait pour défendre le bien, le justice et la spiritualité (je pratique le yoga et la méditation depuis plusieurs années). Mais j’ai des enfants de bas âge. Est-ce que pour leur survie, je dois quitter mon pays? Et pour aller où? Oui on peut comprendre l’appréhension des gens, c’est bien que vous faite une pratique spirituelle, méditation et yoga. Si vous faite une pratique spirituelle, sincère Dieu va vous protéger n’importe quels endroits où vous estes. Si vous vous voulez consolidez votre pratique spirituelle, vous pouvez répéter le Nom de Dieu en rapport à votre religion de naissance, voire article. Si vous vous ne sentez pas proche de votre religion vous pouvez répéter un Nom Universelle. Si vous avez d’autres questions sur une pratique spirituelle et la spiritualité, vous pouvez poser vos questions sur ce forum, vous aurez une réponse rapide de 2 à 3 jours par rapport au blog. Do you have any tour programme for India in 2015 ? Hi SSRF team, I live in Geelong Australia, what a amazing, wondrous, cyclic creative creation. A true blessing it is that the human being is able to witness it ++++. Have you a group or meetings in Melbourne any time in the near future. May the teachers of the subtle realms and its inhabitants continue to share their Knowledge on their interdependence with this material world. Presently we do not have meetings in Melbourne, if something will be there then it will announced in events on the home page. We are here to assist you at any time. Hello. I’m from Peru and want to know where their headquarters. Thank you. I am visiting Goa. Was wondering if I can visit SSRF. I will be near Calangute.